I’ve been taking some pictures from some friends (and soon to be neighbors) from Minnesota of the house they have going up across from my place. 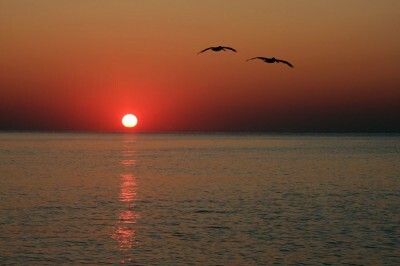 I came across this photo while I was looking for photos to send, and I’m not sure why I hadn’t noticed it before. This was taken about a month ago just before sunrise, and the colors are amazing. Since we’ve only had fog around here (and high temps! 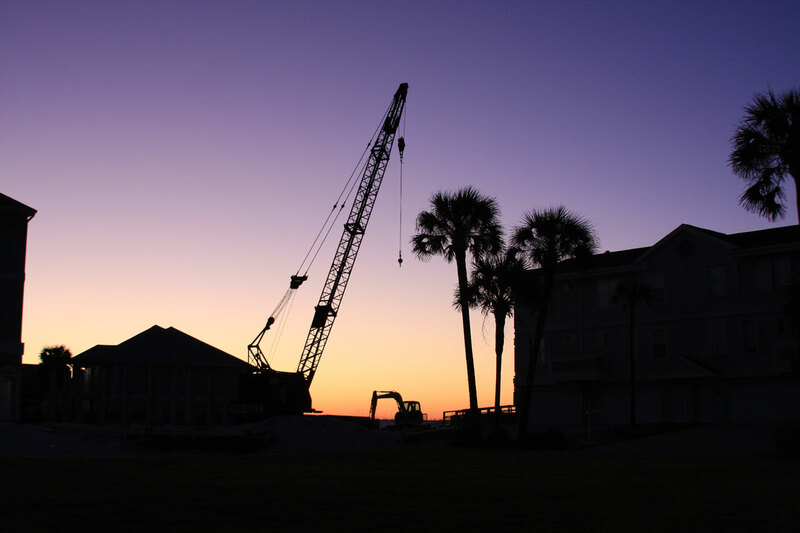 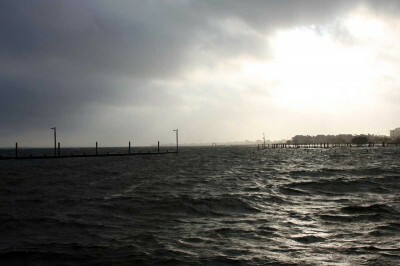 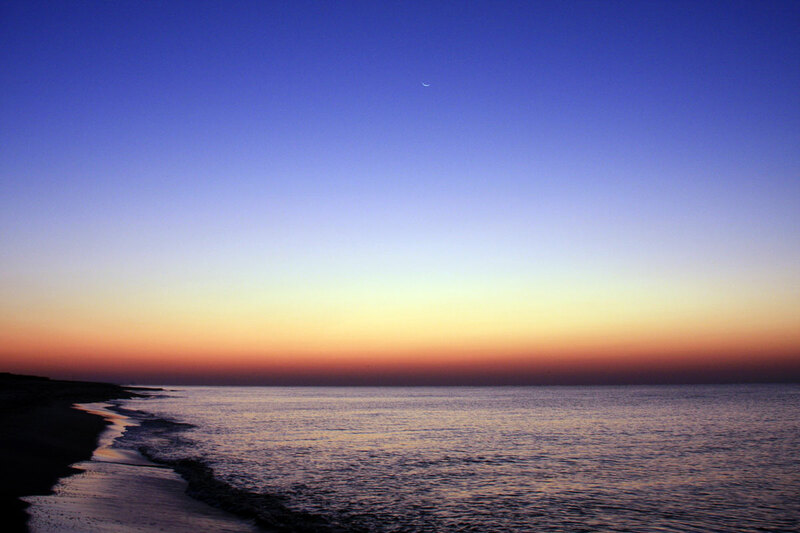 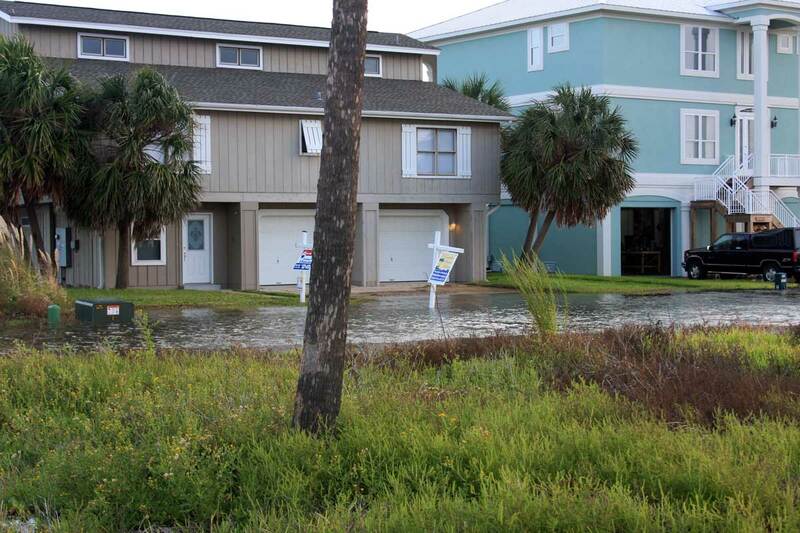 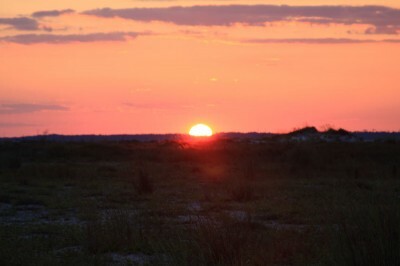 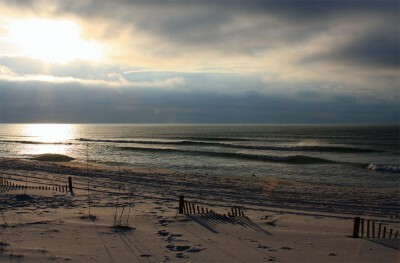 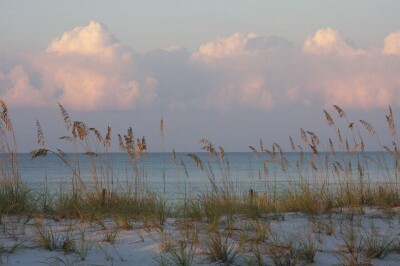 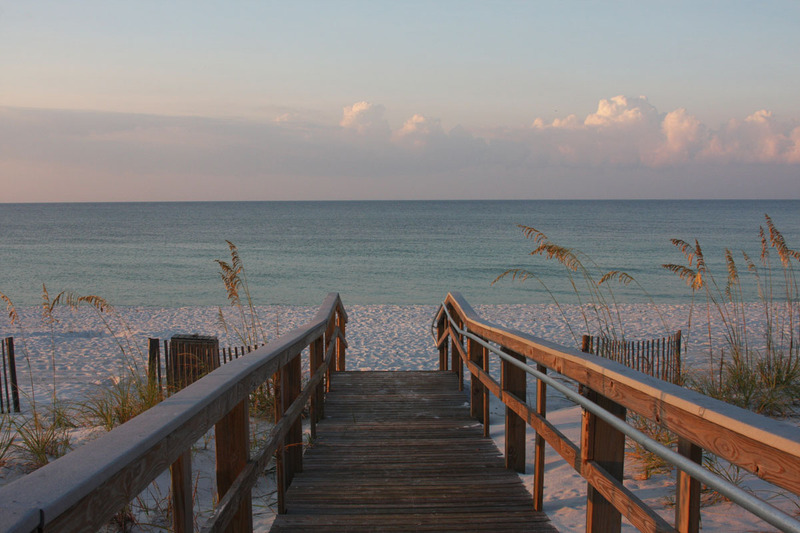 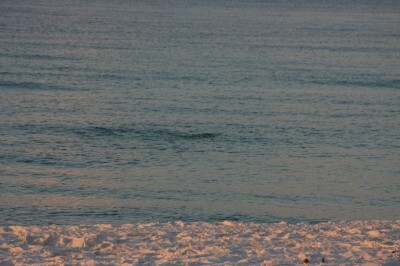 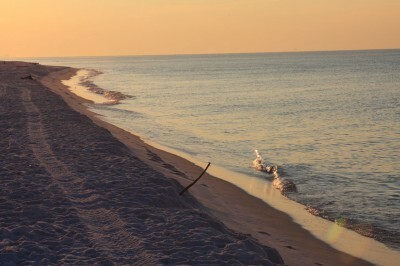 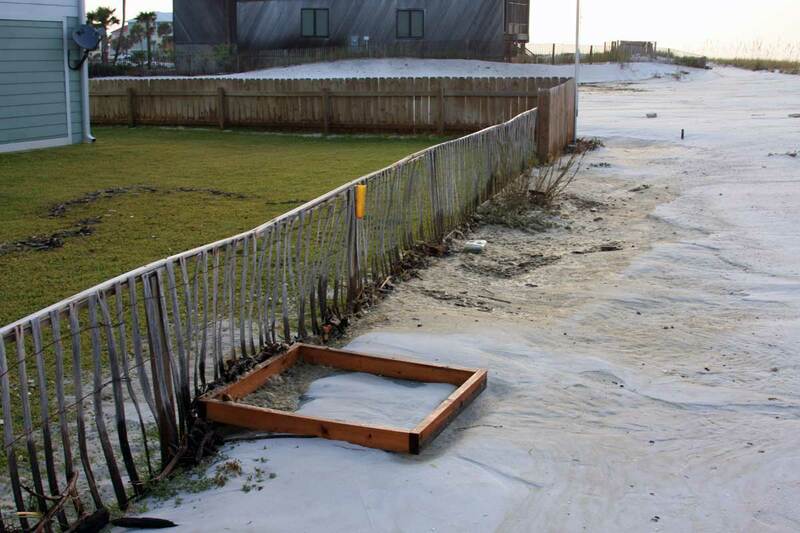 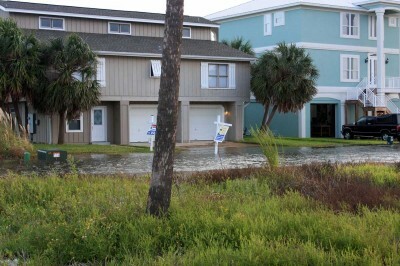 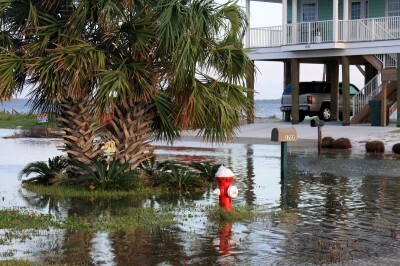 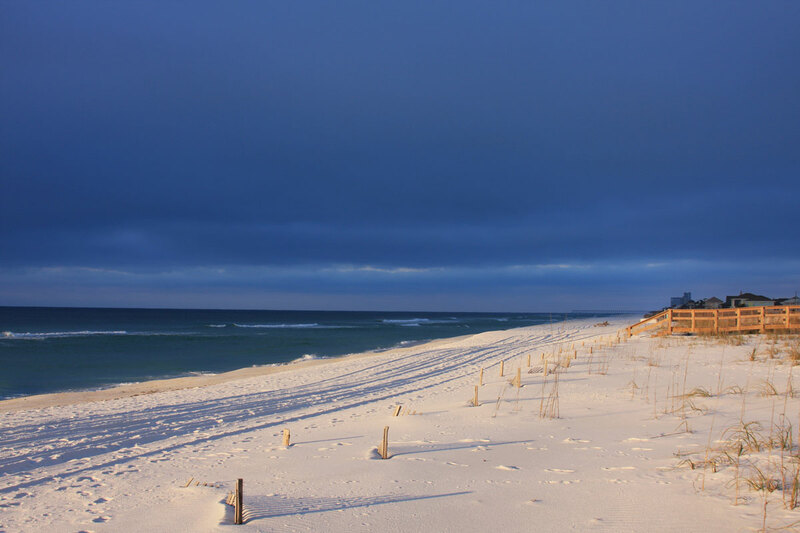 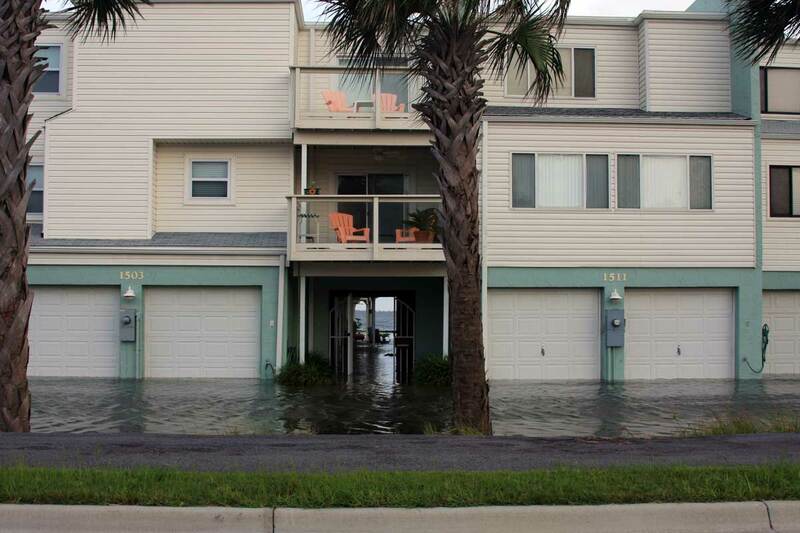 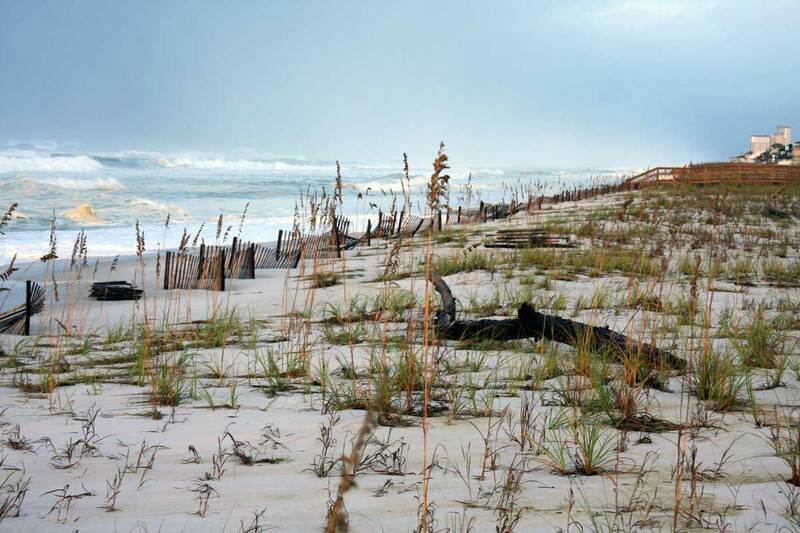 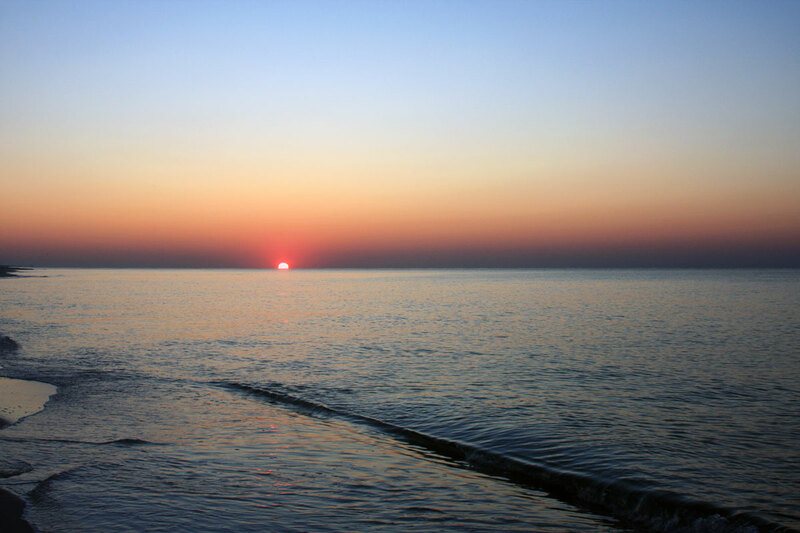 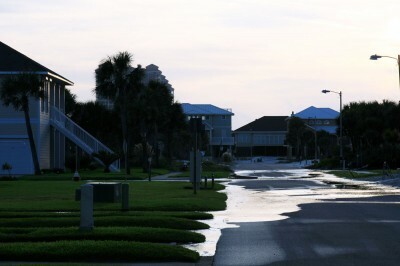 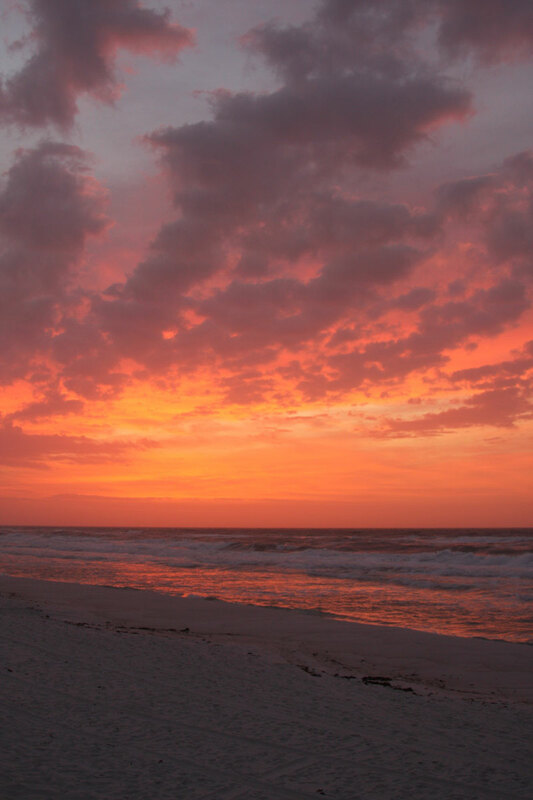 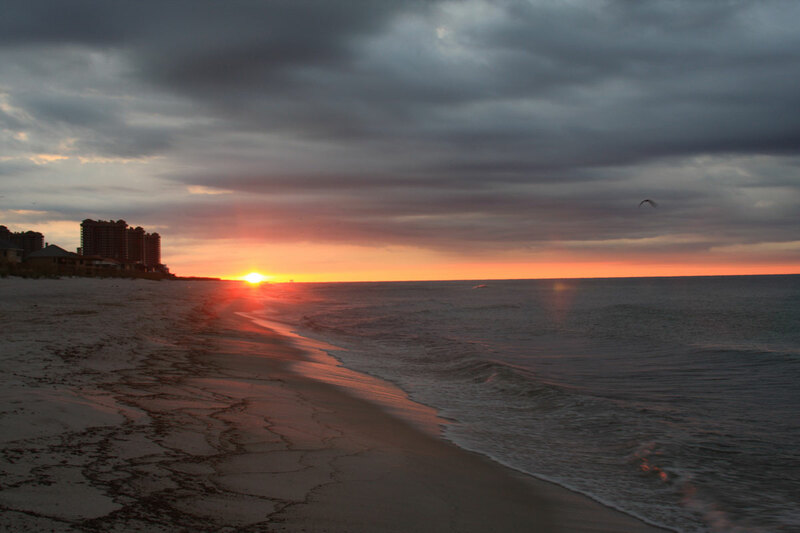 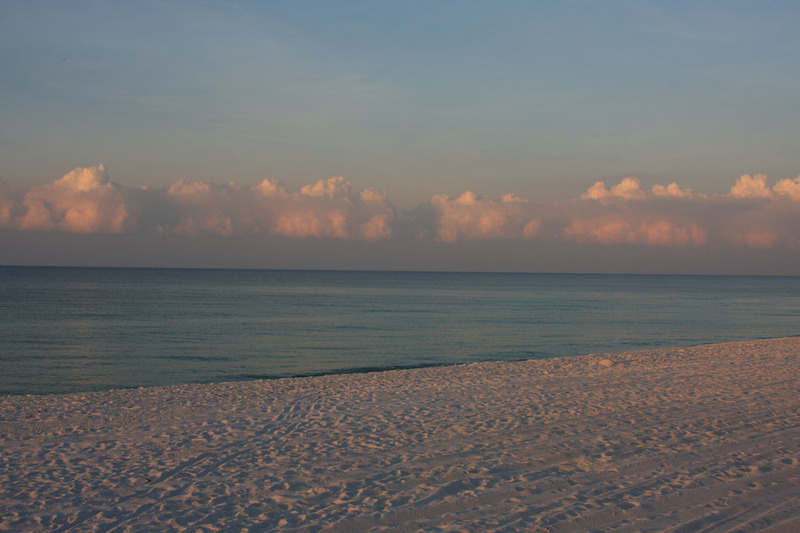 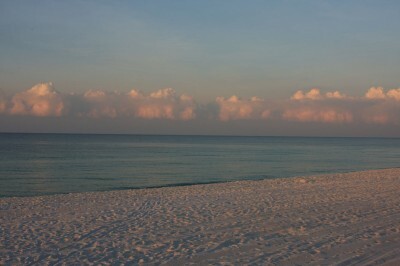 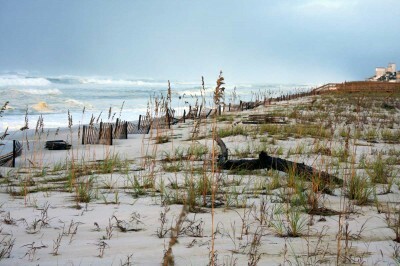 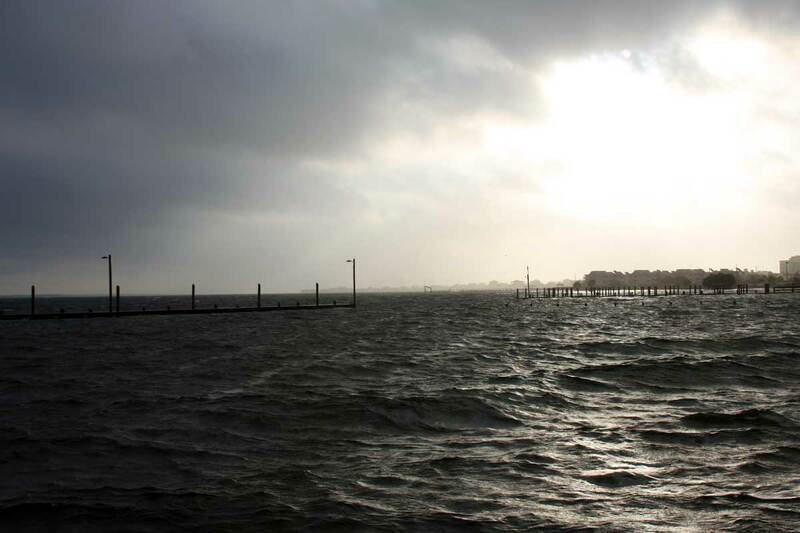 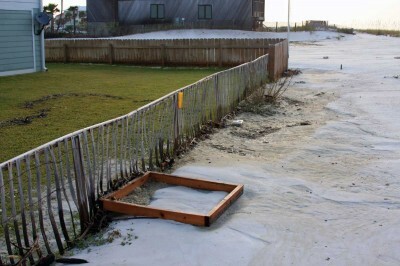 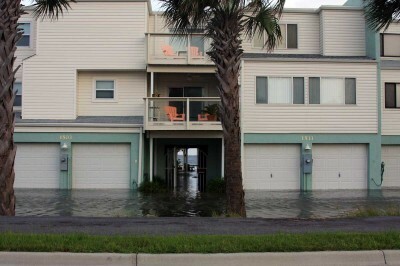 ), I thought this picture was worthy of a Pensacola Beach Blogger post! 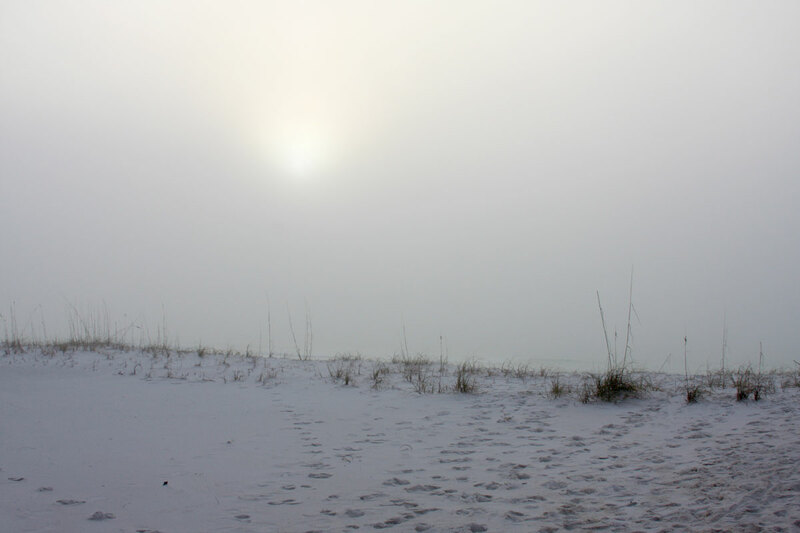 Another foggy and misty morning here on Pensacola Beach! 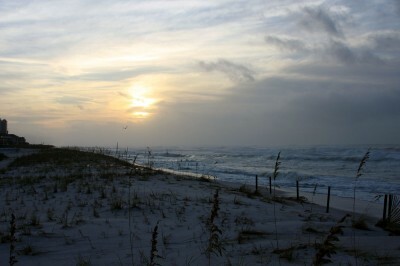 We should have a beautiful day on our hands today… as soon as the sun makes it out of the fog. 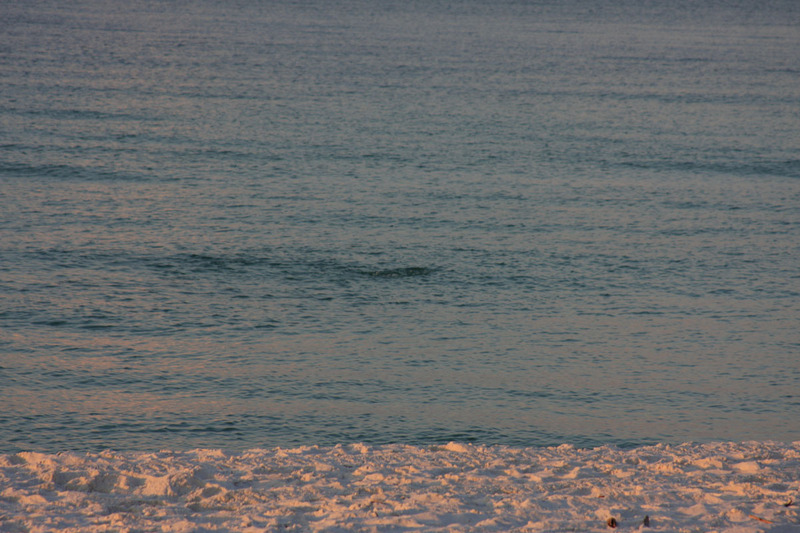 The water was almost completely still! What a great morning! 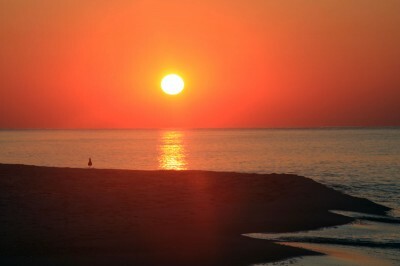 Now that I caught the sunrise, its back to bed for me!